SAVE MONEY ON THIS CHEERLEADING SUMMER SPECIAL DEAL!! Beginning Cheerleading This movie has everything you need to be successful in cheerleading, whether as a cheerleader or coach. University of Oklahoma Coach Brandy Corcoran and the Sooner cheerleaders cover every aspect of beginning cheerleading, including: cheer basics, cheers and chants, stunt basics, jump basics, conditioning and exercises, and much, much more! A must have resource for anyone interested in becoming successful at the beginning level of cheerleading. 34 minutes. Cheerleading Chants and Cheers Coach Linda Rae Chappell and the William Jewell College Spirit Team present several chants and three cheers that you can use to get your crowd on their feet. The instructors demonstrate each cheer and chant from the front and the back so you will not miss a single motion. Among the topics covered are: offense chants, defense chants, anytime chants and spirit chants. 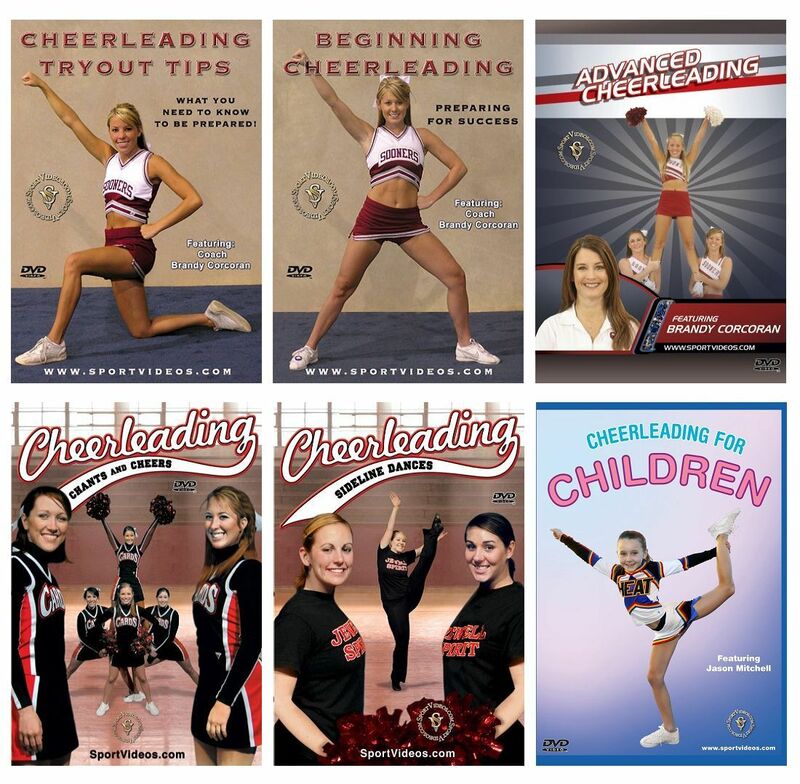 This download is an excellent resource for cheerleaders and coaches at any level. 31 minutes. Cheerleading for Children: Cheerleading is a great sport for children and can provide them with a variety of life-long benefits. In this exciting program, coach Jason Mitchell teaches young cheerleaders the essential skills needed to excel. Among the topics covered are: warm ups, motion techniques, cheers and chants, jumps, stunts, tumbling, stretching and flexibility. Several cheers are demonstrated from the front, side and back views to make it easy to practice alone or with friends. This movie is an excellent resource for young cheerleaders, parents and coaches. 56 minutes. About the Coach: Jason Mitchell is the co-owner of the Arizona Heat Elite Training Center in Mesa Arizona. He was a cheerleader for 16 years and has coached for the past 17 years. Jason worked for the National Cheerleaders Association for ten years as a professional cheerleader, teaching camps across the country and in Japan. 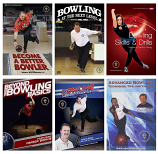 He has choreographed and trained many nationally-ranked teams at all levels junior high, high school, collegiate and all-stars throughout the years. Cheerleading Sideline Dances Coach Linda Rae Chappell and the William Jewell College Spirit Team demonstrate several new dances to inspire your squad! The DVD features seven original 8-count dances. The program teaches and performs each dance to counts so you can plug in your favorites music. Each dance is shown from the front and back to make learning easier and more enjoyable.A great new download to help get your season started! 42 minutes. Cheerleading Tryout Tips: Experience the complete cheerleading try-out process with University of Oklahoma head coach, Brandy Corcoran. In this informative DVD, the OU Cheerleaders provide a step-by-step demonstration of the essential keys to a successful try-out performance. You will learn how to prepare: what counts most on score sheets, specifics about jumps, tumbling, and motion techniques; as well as tips on your appearance, memory, and voice/projection. Don’t miss out on this opportunity to get ahead of the competition and make the cheerleading team! 44 Minutes. Advanced Cheerleading: Learn the essential elements that are necessary to cheer at the advanced level. University of Oklahoma Coach Brandy Corcoran and the Sooner Cheerleaders cover several aspects of advanced cheerleading including: baskets, partner stunts, pyramids and tumbling. This download is a must-have resource for anyone wanting to be involved in cheerleading at the elite level. 32 minutes.